Cobra One Tactical has now expanded into real Firearms and Ammunition sales and will will be offering safety as well as advanced firearms courses. We also have experienced outdoor enthusiasts who will also be offering classes to pass on some skills to the general public. We will still be serving the Airsoft community with equipment, classes and gaming at our field! Here at Godfather Airsoft, we know how important it is to trust the people with whom you do business. We take pride in our company and are committed to providing our customers with an honest, responsive, and satisfying experience at any of our locations. As a family owned company, we depend on the satisfaction of our customers to help us keep our business growing. Whether you make a purchase at our airsoft guns store, order something online at GodfatherAirsoft.com or play at our arena, we consider you part of the GF family -- not just another dollar in the register. 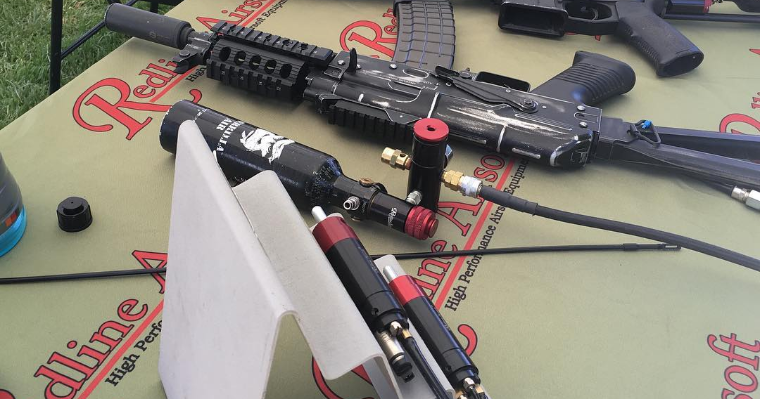 New Breed Paintball and Airsoft offers the latest in guns and gear. We carry all leading brands and with a large selections of gear, guns and equipment we can get you in the fight in no time at all. New Breed offers an in house pro shop and tech support area, we do all repairs and customization in house and usually less than 5 days. New Breed Paintball is a paintball and airsoft store with great prices, over 150 guns to pick from, and a repair facility. We buy, sell, and trade used airsoft and paintball guns. Fully stocked with the latest and greatest, we are always up to date with latest fun toys. Stop in today!